Give a gift for just $12. 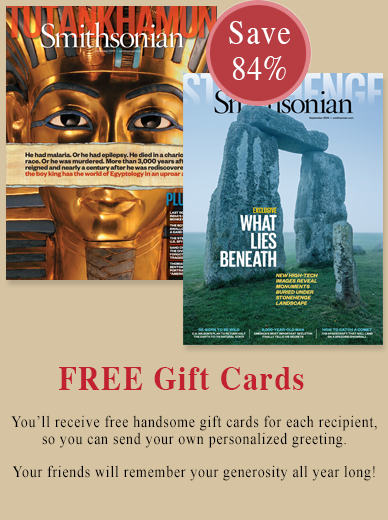 Your gift includes 12 issues of Smithsonian magazine, plus all the benefits of membership. You'll receive FREE gift cards to send to each recipient to announce your gift. Gift membership benefits include a one-year subscription to Smithsonian. The first issue will arrive in six to eight weeks. Member discounts may vary. All profits from the magazine support the institution. Ninety-nine percent of membership dues are allocated for Smithsonian magazine. Smithsonian is usually published monthly, but occasionally publishes combined issues, which count as two issues.